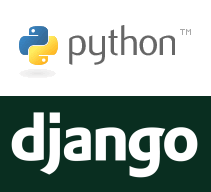 I am currently looking into the use of Django for one of my extra-curricular projects and needed to set up a development environment on Ubuntu. This is the log for future reference and hopefully useful for anybody needing to do the same. All that remains to be configured is the Apache VHOST configuration containing the WSGI directives. PLEASE NOTE: On Ubuntu 13.10 due to Apache being now 2.4 there is a fairly important change in access permissions (which cost me some time to work out) See: http://httpd.apache.org/docs/2.4/upgrading.html#access. Also worth noting that the binary version of mod_wsgi is not compatible with the binary version of mod_itk (you will get an error like “Unable to connect to WSGI daemon process”) as WSGI tries to access the files using the default www-data user rather than the user assigned with using mod_itk. If you need this to work you will have to compile your own version of mpm_itk.